Flood plain maps have long been used to set rates for flood insurance through the National Flood Insurance Program. These products can also be a useful starting point for thinking about debris flow hazards near volcanos. 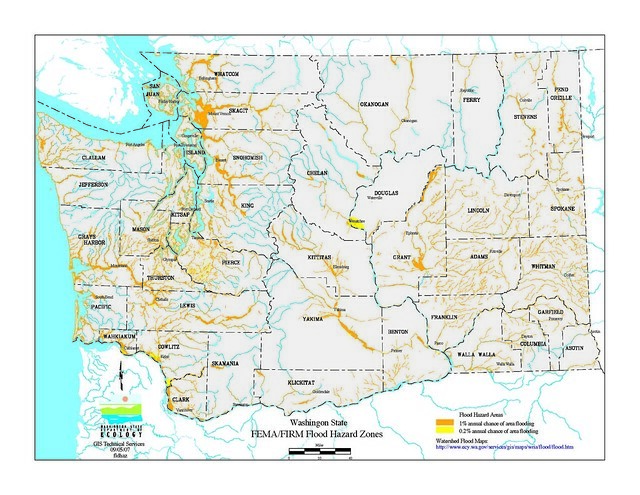 A relatively new set of flooding maps have been developed for the Cascadia Region to identify areas in danger of inundation from tsunami waves. These areas are often not identified in the National Flood Isurance Maps. For more information flood hazards visit the FEMA website, ready.gov.